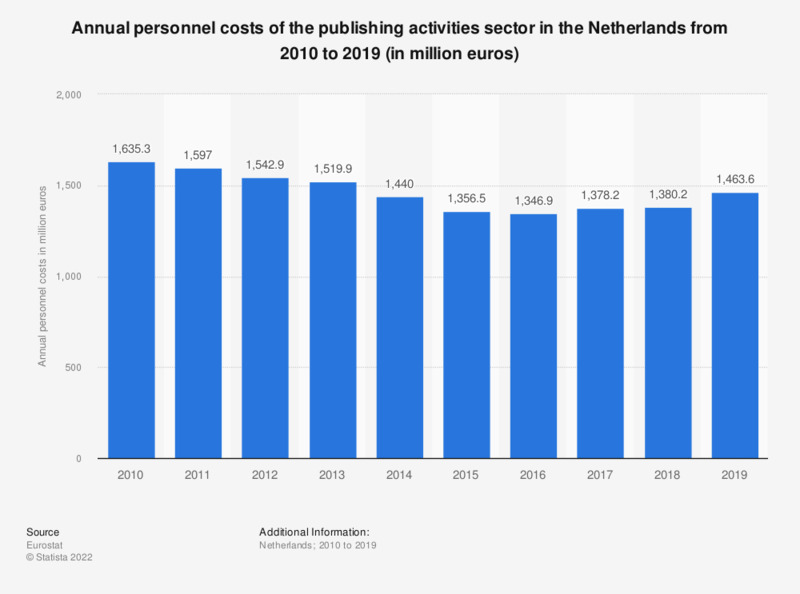 This statistic shows the annual personnel costs of the publishing activities sector in the Netherlands from 2008 to 2016. In 2016, the publishing activities sector produced personnel costs of approximately 1.35 billion euros. Data coverage corresponds to code J58 of NACE Rev 2.